Drizzle the ghee and butter mixture and start revolving the dish to both sides so the butter get to most parts of the dough. -Continue this process for the rest of the dough pieces. Until you create all the layers needed for bint al-sahn. 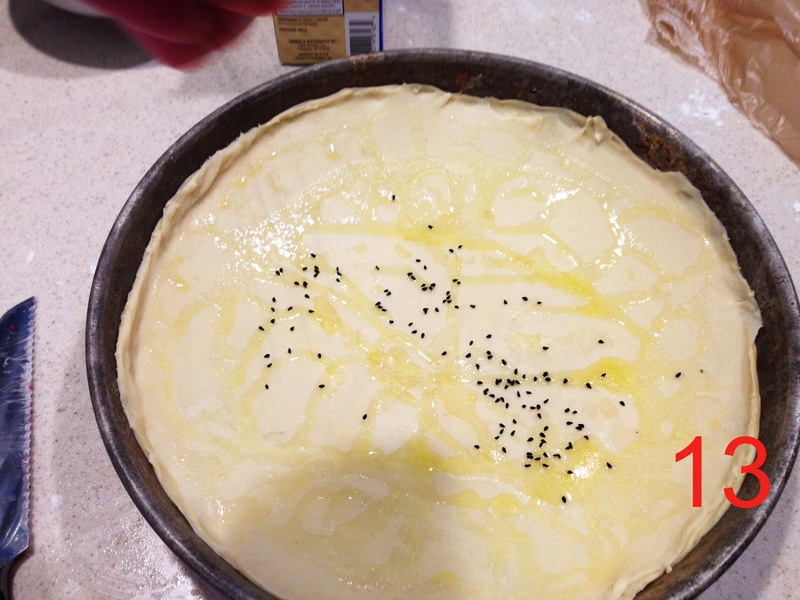 Garnish the top with Nigella seed,(حبة البركة) put in the oven until it become golden from the top. Usually take 35 mints.